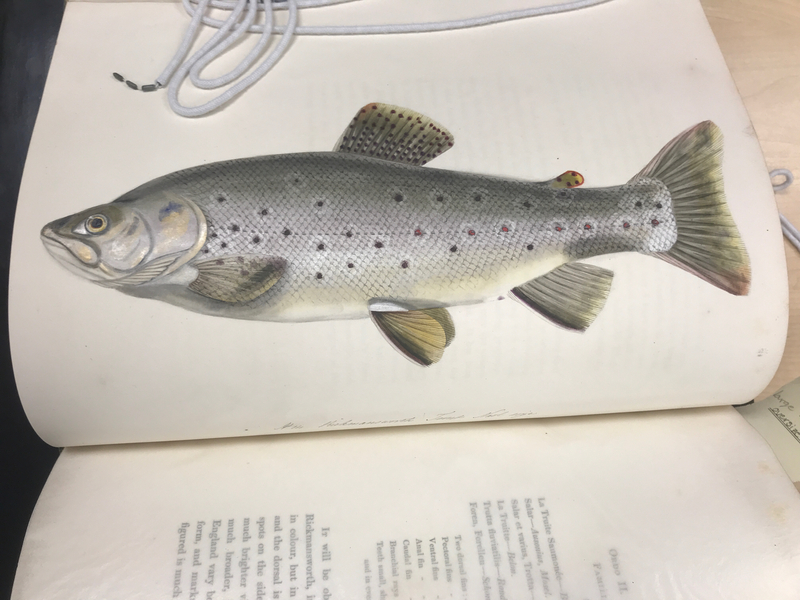 I have previously written that Washington State University, where I work, has a massive collection of rare angling texts housed in the Manuscripts, Archives, and Special Collections department. The collection includes over 15,000 items and continues to grow. 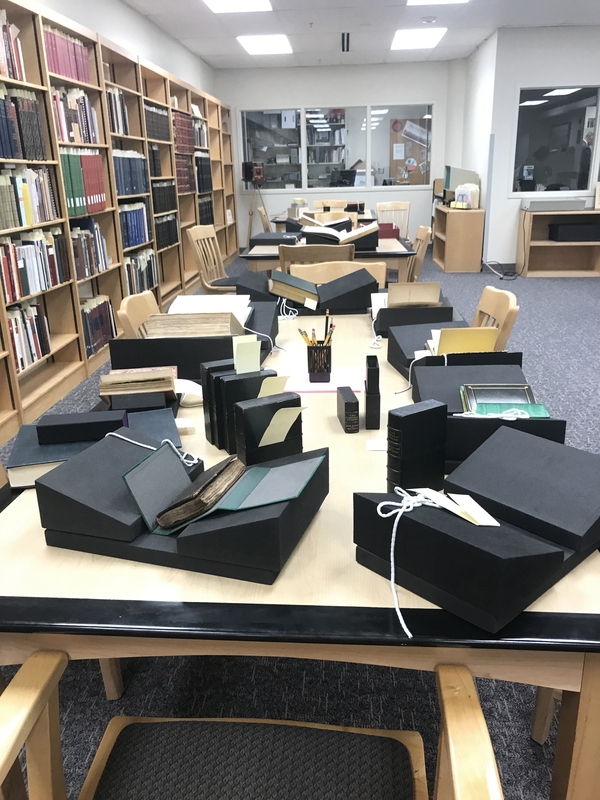 Last week, I took the Honors College students enrolled in my class, “Religion, Sport, and Water: Contemplation and Play in ‘Nature,'” to see some of the texts. The students just read the Middle English essay “A Treatyse of Fysshynge wyth and Angle” (late fifteenth c.), and Izaak Walton’s The Compleat Angler, or the Contemplative Man’s Recreation (1653) is next on their list. 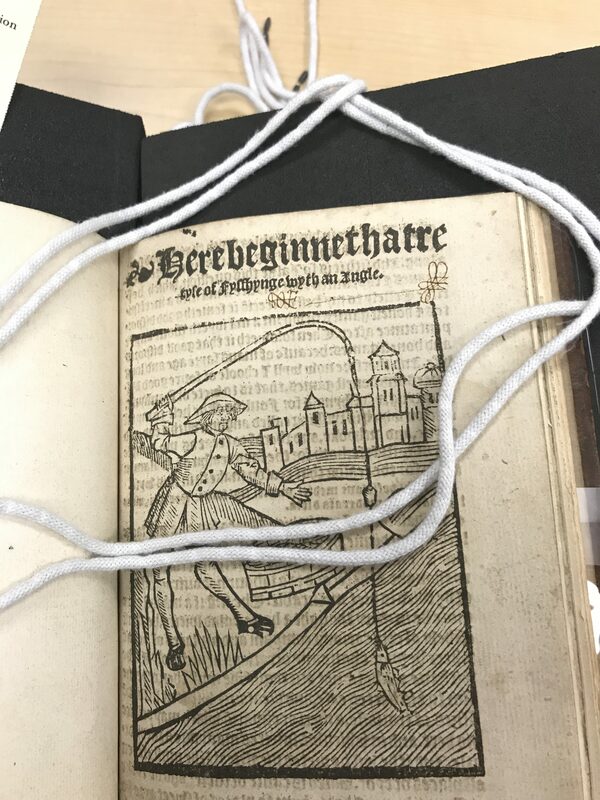 So it is no small thing for them to see and handle an incunable copy of the Treatyse (as included in The Boke of St Albans) and a first and many other editions of The Complete Angler. Following are a few pictures taken during our visit. 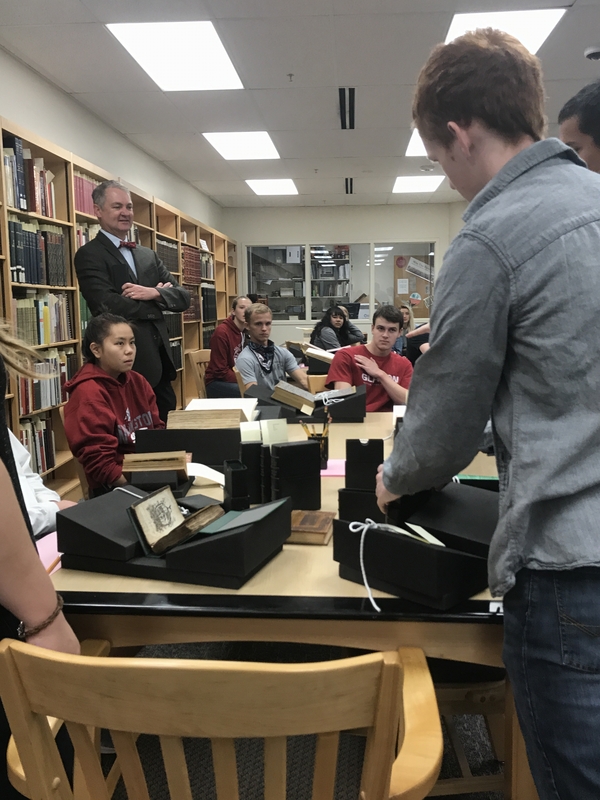 I’m grateful to Dr. Trevor James Bond, Associate Dean for Digital Initiatives and Special Collections, for welcoming the students to the collection. Dr. Bond is a passionate and engaging host. Boke of St Albans, incunable. Dr. Bond engages students in discussion. The shimmering quality of this hand-painted illustration in Freshwater Fishes, is due to the inclusion of ground fish scales in the paint. 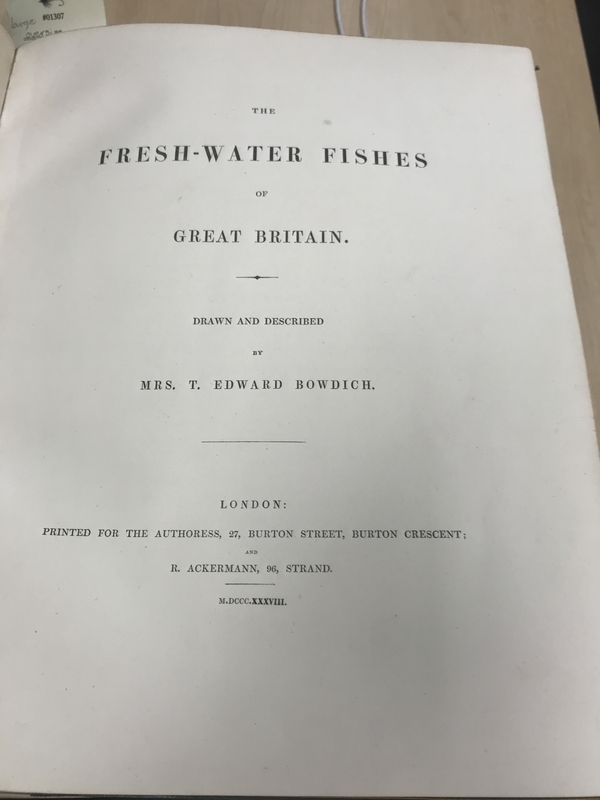 This entry was posted on September 18, 2018 at 10:16 PM and is filed under Fly Fishing Literature, The Arts. You can follow any responses to this entry through the RSS 2.0 feed. You can leave a response, or trackback from your own site. Loved my years as a library archival technician. Wonderful atmosphere presented by a tether, a line of full thoughts preserved and shared through most literal objects. Thanks for the tour. I would have loved that too! Sometimes I just love sitting among my books.